Petroleum Experts has granted to the Technical University of Crete 10 licenses of its Integrated Production Modelling (IPM) suite, carrying an equivalent commercial value of 1,271,258.00 £. The donation will allow the students following the Petroleum Engineering MSc course to get familiar with this software thus getting an advantage in their future careers as the software is a standard in the oil and gas industry. Petroleum Experts (PetEx) is a world-leading Edinburgh based company which develops petroleum engineering software tools. 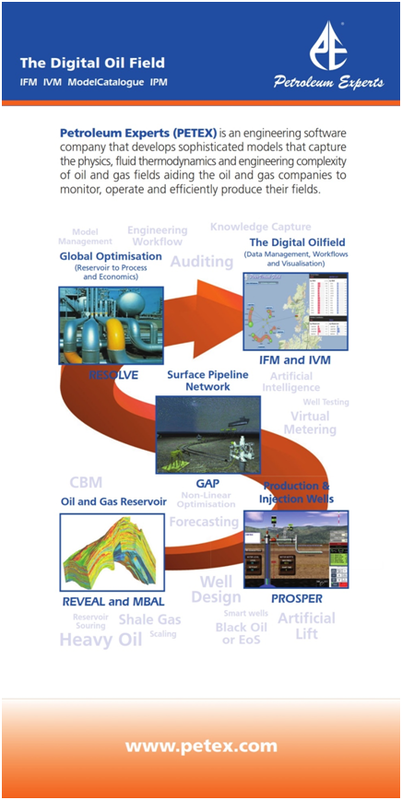 With over 350 clients worldwide IPM is recognized as a leading software to improve the efficiency of oil and gas fields. The company's software enables the oil and gas industry to model dynamically hydrocarbon reservoirs, production and injection wells as well as surface pipeline networks as an integrated production system. It allows engineers to setup complex field models and subsequently use IPM’s routines to optimize the production. Through this donation, the postgraduate students will have the chance to get experience in working with the leading software in production optimization from wellbore to surface facilities through familiarization with the suite’s modules: PVTp, dealing with EoS modeling and fluid characterization, MBAL, the standard material balance and decline curve analysis tool, PROSPER, used to design and optimize oil and gas well configuration, GAP, which models the surface gathering pipeline network of field production systems, REVEAL, the thermal reservoir simulator which treats near-wellbore effects and RESOLVE, which allows the implementation of various workflows involving both engineering, process, operational and economic issues.